Whether you’re a professional makeup artist or just an amateur, in order to keep your tools in good condition longer you need to organize them well. 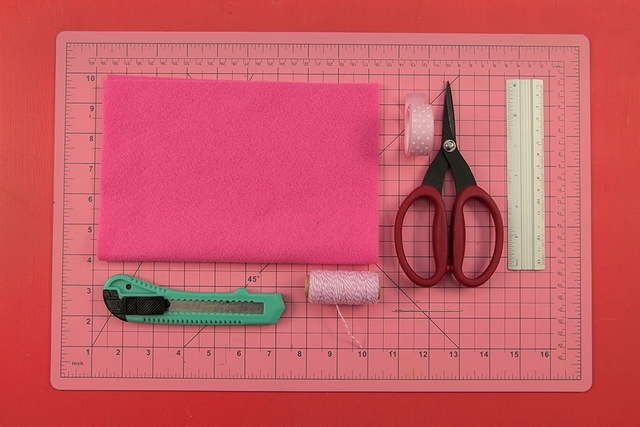 That’s why today we are going to show you how to make a practical diy makeup brush roll organizer so you can keep everything in order. 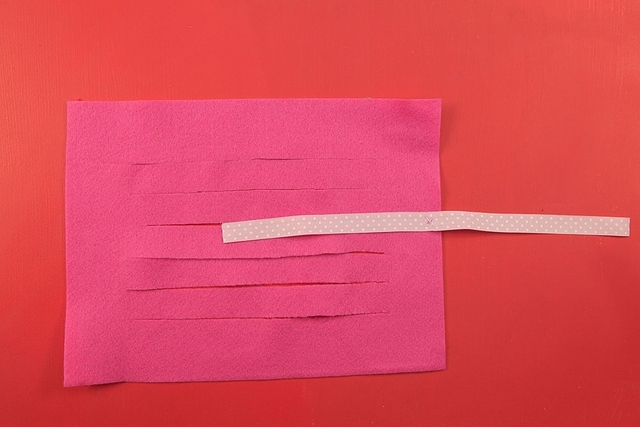 A really simple and very useful craft project. Just follow the steps below. 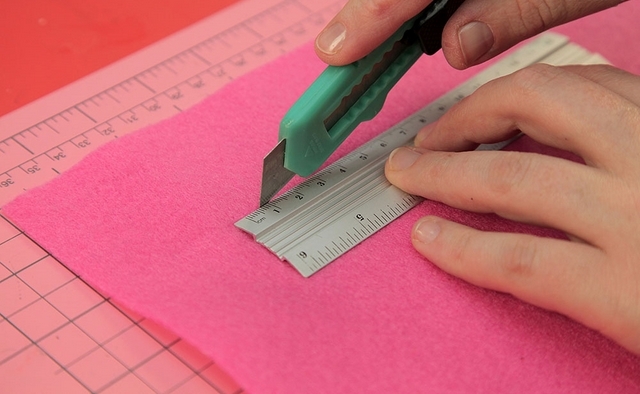 First lay the piece of felt on the cutting board and use the ruler to make straight slots in it with the cutter. 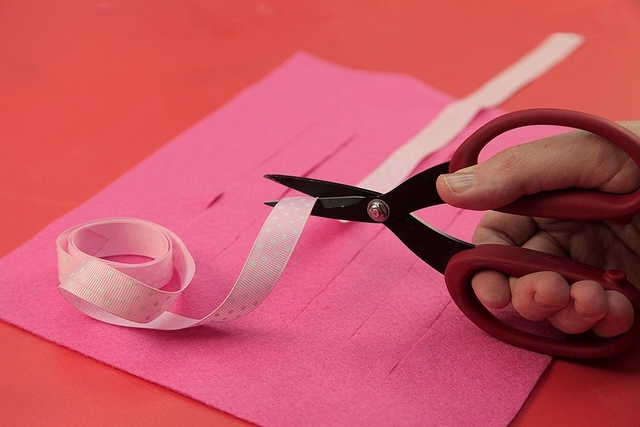 Make several cuts in the felt. 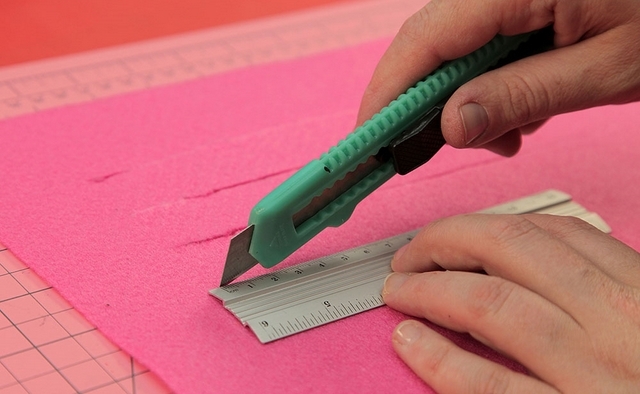 Always use the ruler to ensure that all cuts are straight. Now cut a piece of ribbon. We will use it for tying our kit. 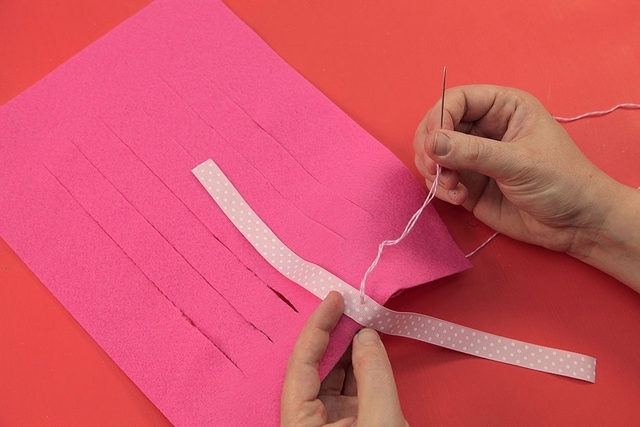 Sew the strip of ribbon to one side of the felt. 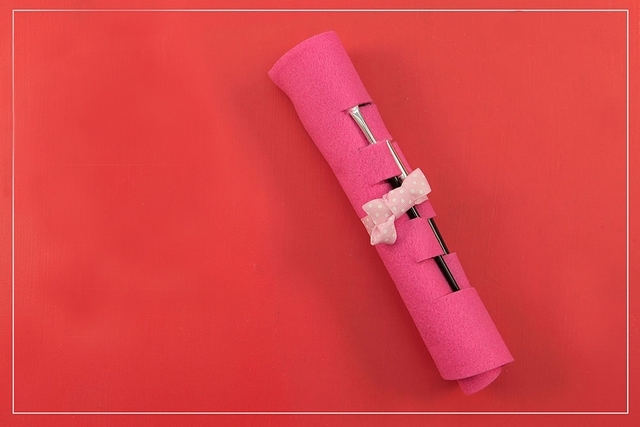 Hold the ribbon in the middle. Then place your brushes within the cuts you made. 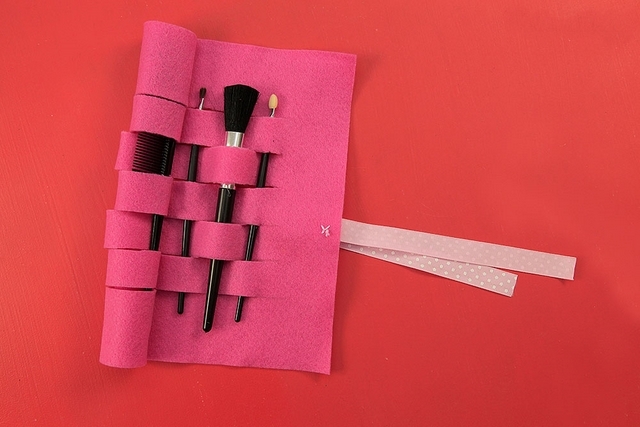 Our DIY makeup brush roll organizer is ready!